My local artists group, the Wellesley Women Artisans, is holding our third annual holiday art swap next week. Each of us is making a small piece of original art which we’ll wrap and then swap with someone else. 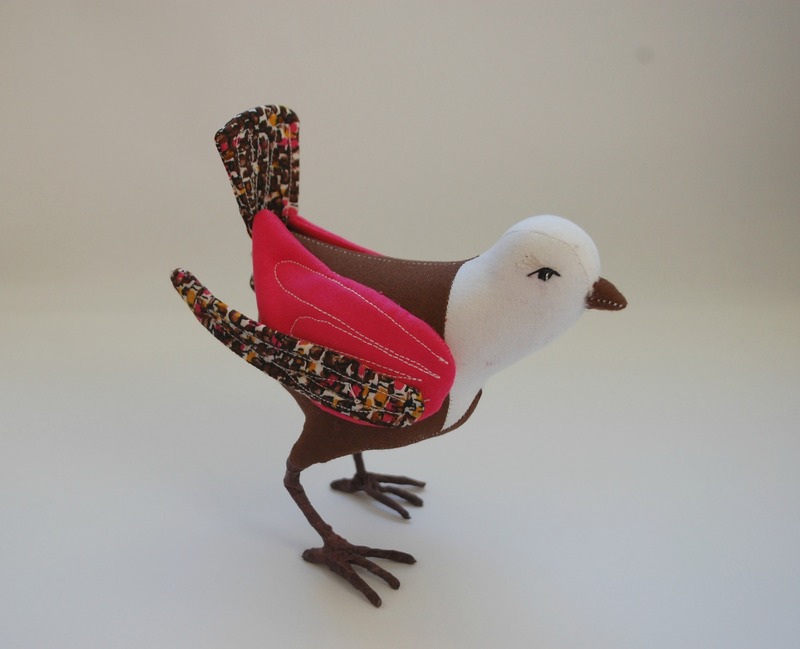 I felt like this was a great opportunity to make a fabric bird again. There were a few years (2007-2009) when birds were my obsession. All of the fabric I bought was for birds and my desk was covered in Audubon guides. Then I wrote a book of bird patterns and when it was finished I felt totally done with birds. 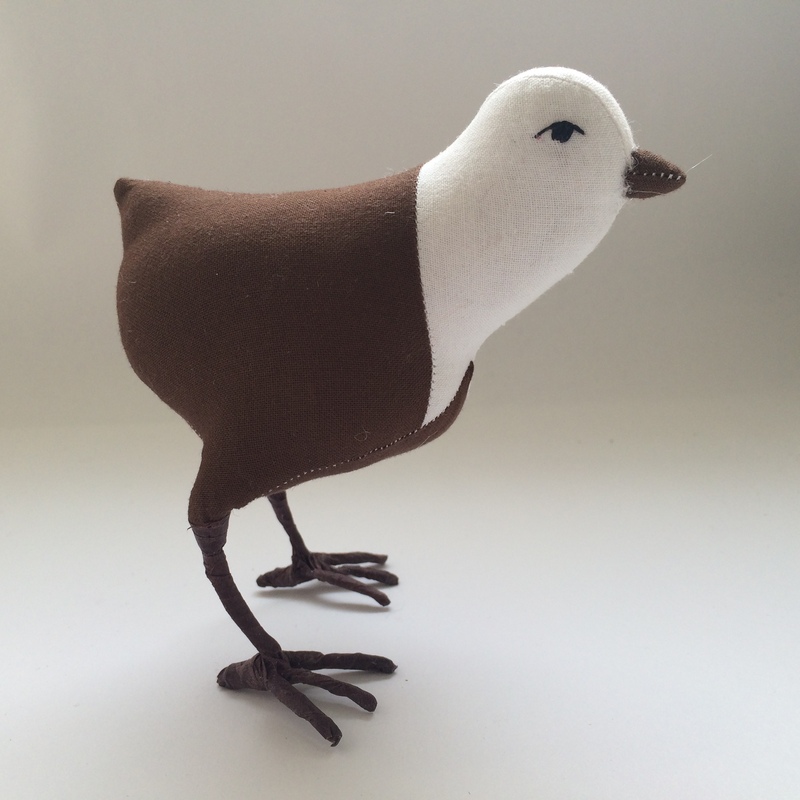 Still, though, I really like birds and every so often I like making them. For this one I chose a vintage print that a friend of mine found in a pile at the Winchester dump. It’s lovely! I pulled some Kona solids to coordinate. I listened to Lotta Jansdotter on the Craftsanity podcast while I made this and together it was a pretty heavenly way to spend a Thursday morning. 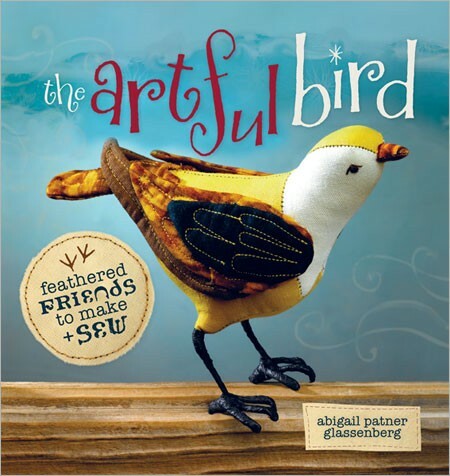 Get the pattern for this bird in The Artful Bird: Feathered Friends to Make and Sew. So lovely and realistic. You are amazing and my inspiration to make stuffed animals. This is a really cool idea! Our Christmas tree is still barren and the price for decoration is just too much to bear! I’d probably make a white birth and use some glitters to make it “festive”.